Finally complete! 2013 is going to be the year of me finishing up UFOs. See, I'm keeping my promise. This was kind of languishing in my UFO bin. 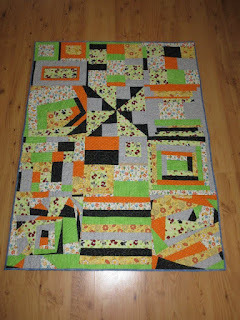 I had all the blocks pinned into the rows that I sewed together, then sandwiched it and quilted it in a green thread. Sulky looks awesome when it's all quilted up. 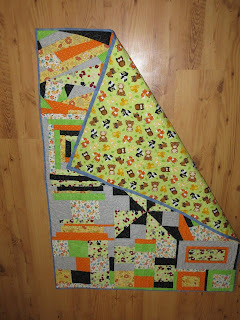 Forest Friends was my very first swap quilt. 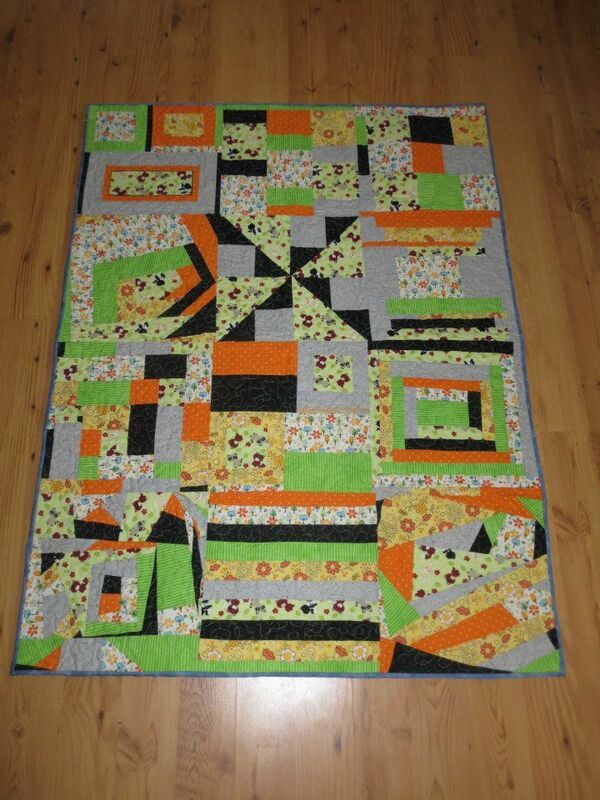 I asked for wonky or improv (a la Gwen Marsden) blocks. Got back all but one, so I made a spinner block. Adds interest I think. The binding is a grey blue which pulls out the blue in some of the tree fabric.